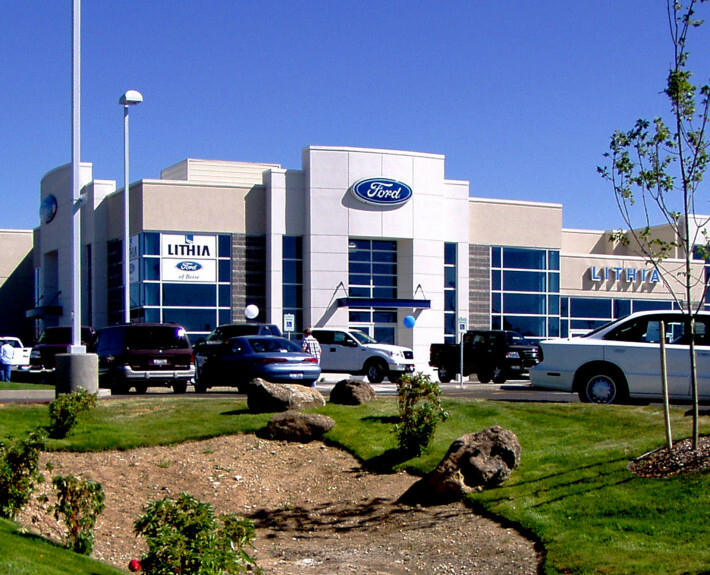 Lithia Ford - McAlvain Companies, Inc.
Lithia Ford is an 84,000 sq ft, structural steel, auto dealership, showroom, service department, and carwash. The exterior consists of banded integrally colored CMU, synthetic stucco, clear anodized aluminum storefront and curtain wall systems with Ford blue glazing and pre-finished metal trim and canopies. 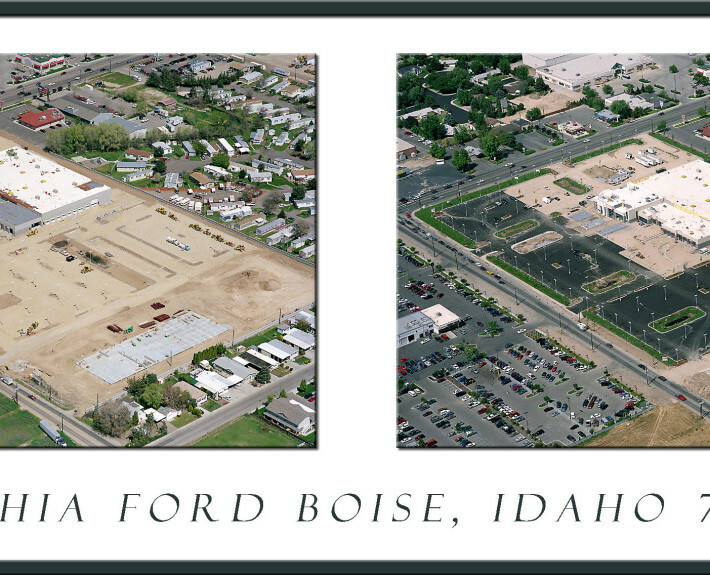 Associated site work covered approximately 12.5 acres. 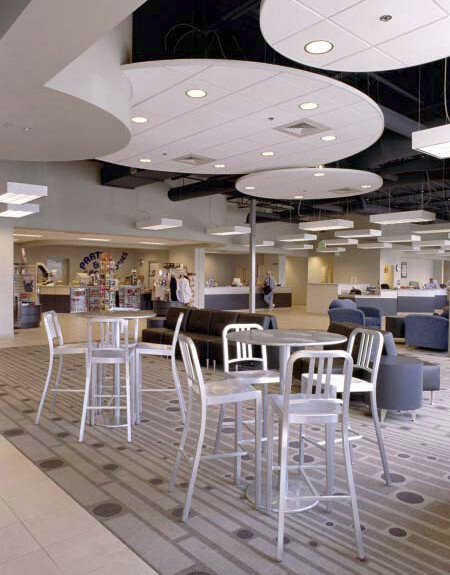 This project was designed to utilize an existing partially completed ‘big box retail’ shell for the service and parts components. A new showroom and sales support building, housing service write-up and quick lube areas, was designed and constructed as an addition to the existing shell. 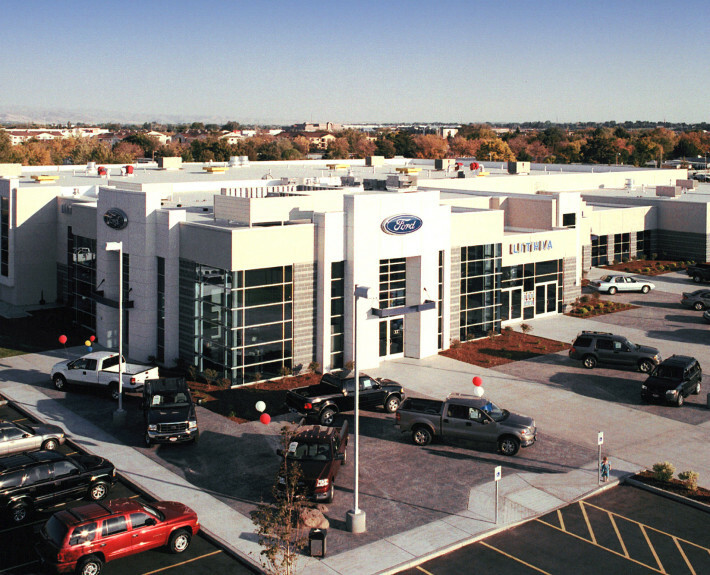 The exterior of the combined structures was designed to meet Ford ‘Trustmark’ identity standards and has been facilitated in such a way as to blend in and minimize the scale of the pre-existing building shell.